Lauren + Mark were married in October in Vancouver. They leased a heritage house in town and got ready at the same location. 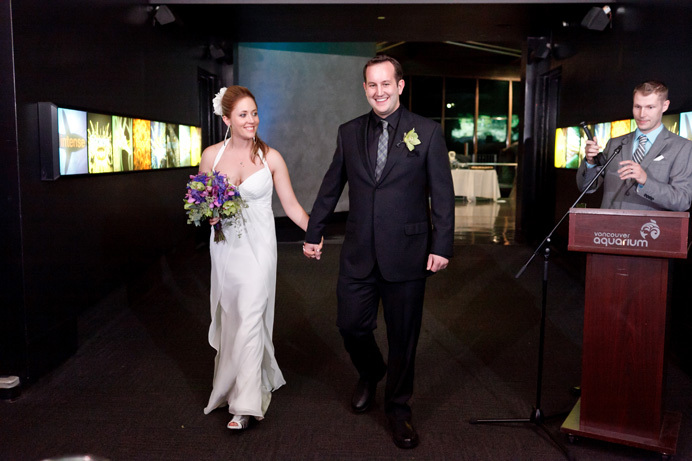 Being a easy-going couple, they had no qualms about getting ready at the same place and even seeing each other in the hall way (not to mention the fact that Lauren actually helped Mark put on his suit). 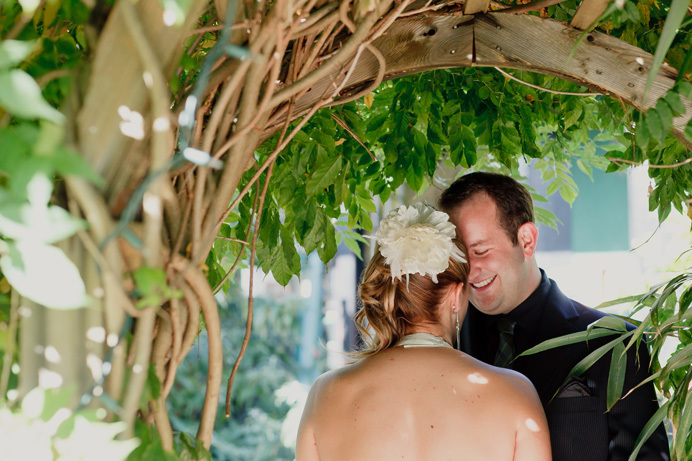 Photos were taken around Vancouver and they later said their vows at one of the best venues to get married in Vancouver, the Vancouver Aquarium. The ceremony was quite emotional and the speeches were quite candid and entertaining. The dancing was spectacular and I’m sure all the guest enjoyed the aquarium atmosphere. 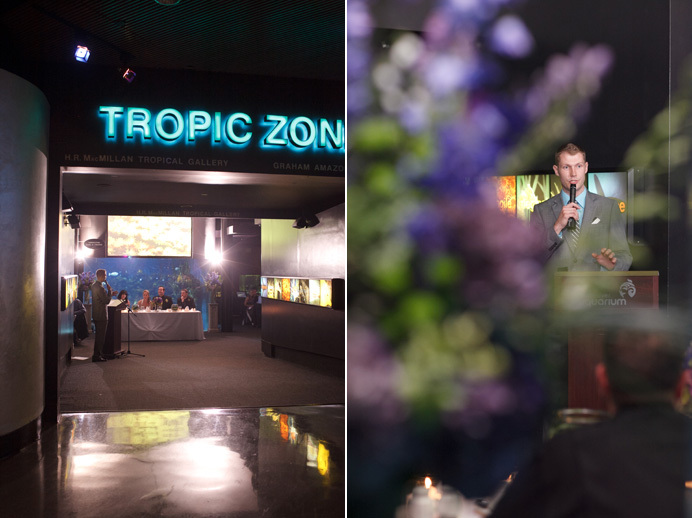 The aquarium… what a FUN place to have a wedding! 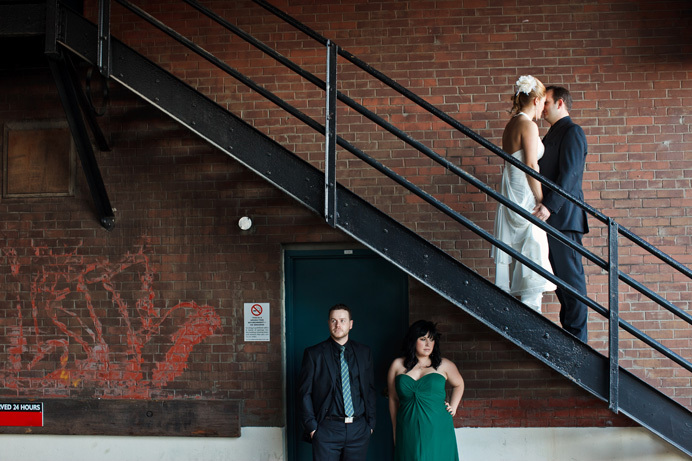 Great work, there is so much diversity in the locations… I LOVE the old brick building shots! Nice location, that’s such a cool idea. I really love the photo of them in front of the aquarium and their bridal party set. What a cool venue for a wedding! 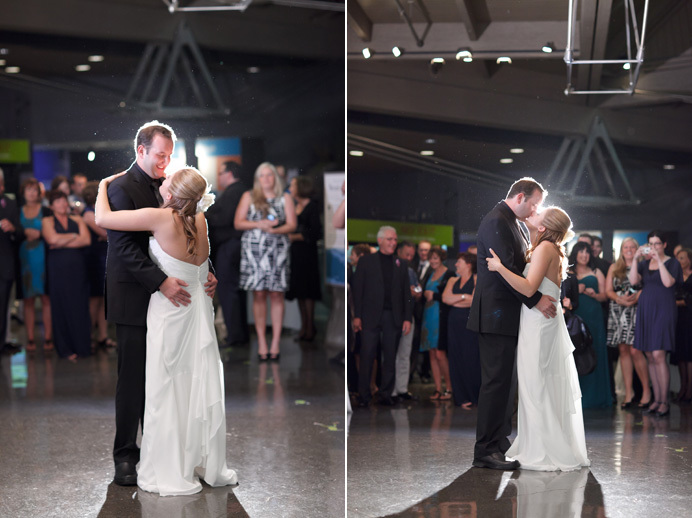 Great dance floor lighting – well done. 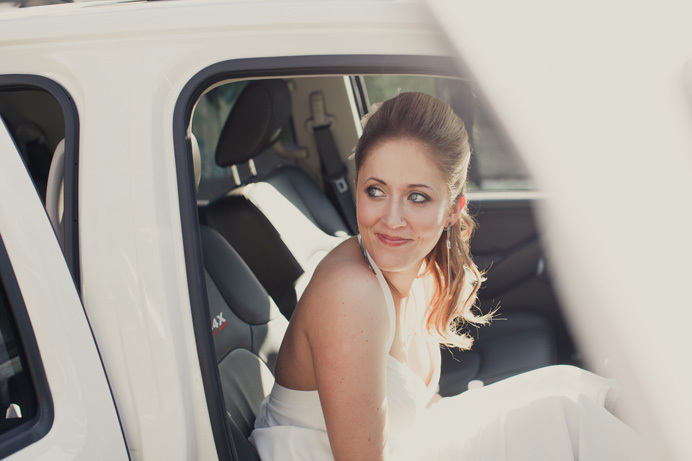 beautiful – especially love the location and the photo of the bride in the car – I love her smile. Awesome work…the reception shots especially. Great lighting. A spectacular series of images! I love the venue; photos with the fish are great. I really like the processing and colors on your first four pictures. Very cool venue. I really like the black and white ones of the bride getting ready. Some cracking moments. The bride is beautiful, and you really made her look stunning on her wedding day. The photographs outside by the metal posts are awesome. Wow, this is gorgeous! So many beautiful weddings! I’m dying to photograph a wedding at an Aquarium one of these days. Lovely! This is beautiful! I love every moment you’ve captured! Loving the train tracks and grungy urban feel! 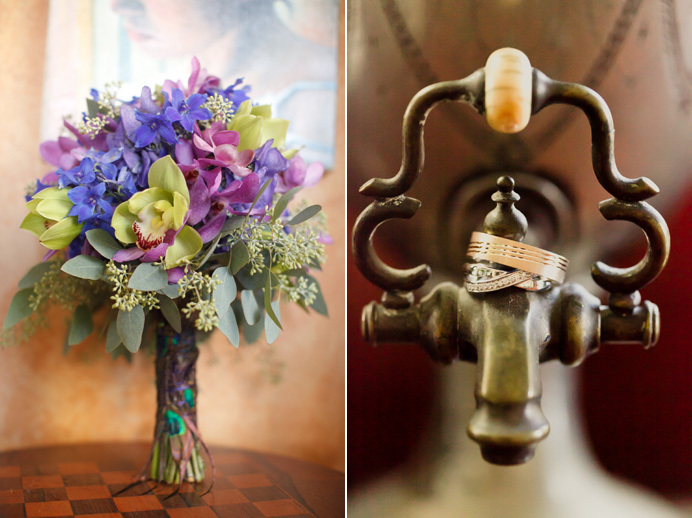 And the first diptych, the bouquet and rings, is absolutely super. Wow, I love these. The shot of the couple in the aquarium kissing is canvas worthy! LOVE that shot with the shark. AWESOME stuff!! Great shots. Nice perspectives. Great use of lighting in the reception. I want to see that one in front of the aquarium huge! It is a really fun and beautiful image! Really love looking at wedding pictures on photo blogs. The different spectacular scenery is great too look at. In my country, the dominant religion is Roman Catholic. Almost all weddings are done in a church or a chapel. Since all the years that I’ve been to weddings of friends and family, I can’t recall it not being done outside like a garden, beach or somewhere else. The system here should change. I don’t know why the priests require it in a Church, when it doesn’t have to be. 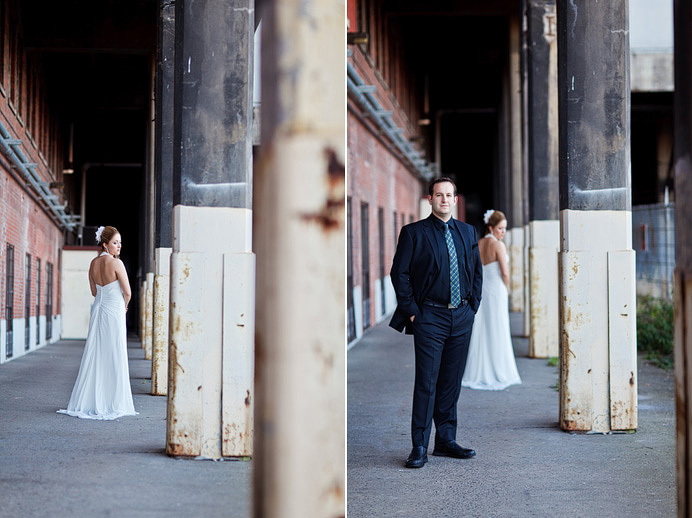 Love the portrait of the bride and groom by the shark tank! Great images, you captured the happiness of the day. particularly like the black and white images of the bride and the angles you have used.